Happy Birthday Roy! For Part A Deadlifts are going to be with a 2 second pause. Rather than dropping from the top, let’s work on controlling on the way down. Score is sum of weight lifted. For the Amrap, focus on breaking and taking it easy the first 2 rounds. Work on staying consistent each round, a good way to do this is to take a look at how long it is taking you to finish each round. Remember, don’t go out too hot! During the Alternating EMOM, the focus is on QUALITY not QUANTITY. I’d rather see one really great hollow strict pull up vs. a bunch of broken half kipping pull ups. On the Pull ups, also remember controlling the eccentric motion down from the bar will help your pull up strength as well. FGB style. This Fight Gone Bad Style doesn’t have a “REST” minute, rather, the 70m run should serve as an active recovery time. *ADV & Beefy Swap Row and Front Squat. This should be a 18-22 minute workout. Pace the Buy In. The reps are relatively small but remember, it’s 6 rounds so be sure you’re not going too HAM the first few rounds. This is another good workout to practice pacing. Alternating GOAT! Be thinking of some things you’d like to focus on during this time. Anything goes. If you haven’t used the goal / swag board, maybe this is a good time to get something written up! Part B should be pretty griptastic. One tip that helps save my grip BIG TIME on Farmers Carry is to use the hook grip! It’s pure gold. 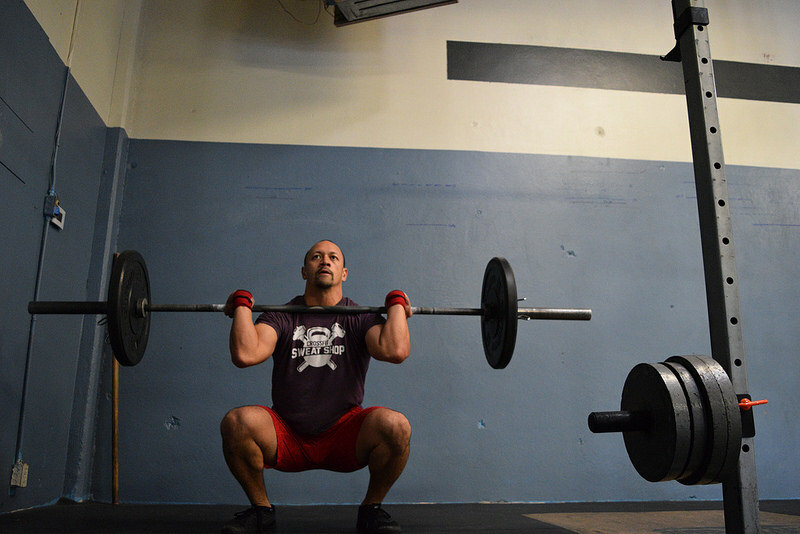 Back Squat’s are pretty straight forward. Once you’ve warmed up to your working weight, stay there for all 5 sets. For Part B this is a really good workout to try to move to the next exercise with minimal rest. Try taking more rest or breaking up the reps more than you normally would do you can seamlessly move to the next exercise. Example: Rather than doing all Wall Balls unbroken, break them up into sets of 5 and then get right to work on your Sit ups or T2B. Double Unders: These should take no more than 1 minute for Rx’d and ADV. 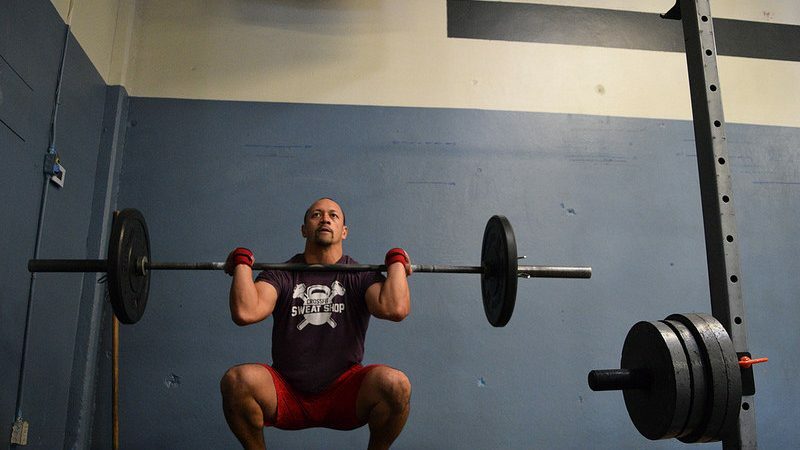 Scale the reps or mix some single unders in there to keep the intensity up. Wall Balls: Break up into small sets early. Set’s of 5-10 are a good idea with quick rest. T2B: Yet another movement that is wise to break up early. I would recommend sets of 5, or up to 10 for those that can mash on t2b. Breath during the thrusters, these should be light enough to do all in one set, but if you need to break it into two, that’s ok also. Pace the first 3 rounds, it’s better to have a little left in the tank toward the end than find out you’ve gone too hard on the rounds before. The rounds on this should go pretty quick. Don’t leave your sled pushed until the last minute or you may be waiting in line for one. If you see one open, go for it!